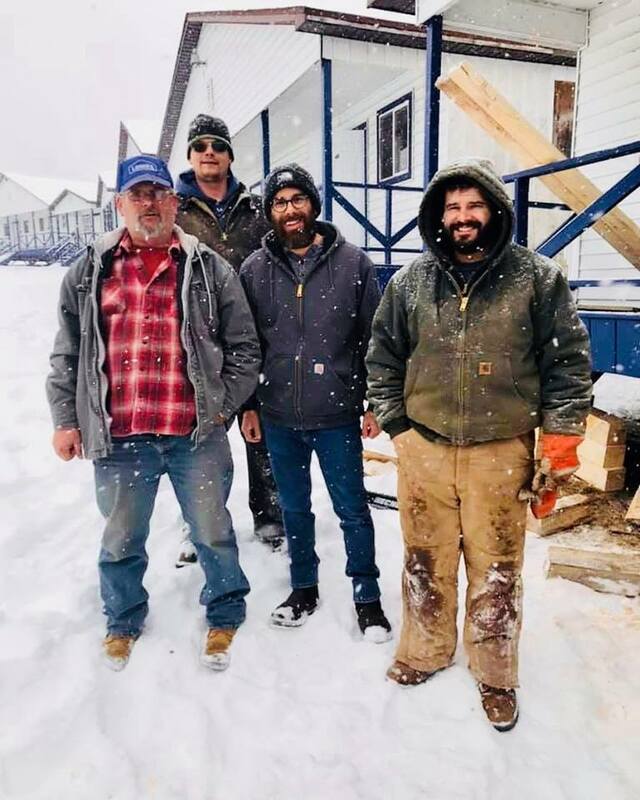 Despite eight inches of snow and flurries, Pelikow (center) led the ground crews in getting the camp ready for the 2019 season. Soon after longtime Camp Lavi senior staff member Elana Nayowitz was appointed camp director of Camp Lavi, the modern Orthodox sleepaway camp in the Poconos, she was asked to give the camp a bit of a “reboot.” It was quickly realized the camp wished to grow in terms of innovative programming, sports, and recreation, improved facilities, and good old-fashioned Torah values. Nayowitz’s challenge is clear: “How does one make a great camp greater?” To achieve these objectives, Nayowitz knew she needed to bring on some senior staff “all-stars” to complement her existing “top-notch” staff of pros. Rabbi Natan Schwartz, also a Camp Lavi veteran, is on board as the camp’s assistant director and rabbinic director. Schwartz immediately hired Rabbi Eli Slomnicki, a dean at the Ramaz School in Manhattan, as the camp’s rabbi and head of chinuch. Michael Pelikow, most recently of Camp Mesorah, joins the senior staff as head of operations and facilities. Already, Pelikow has initiated new construction and the updating of facilities including new bunks, hockey rink rooves, and general refurbishments. Rabbi Gotch Yudin joins the returning Cheryl Ernst as heads of the boys’ and girls’ campuses. Programming and sports continue to be part of the core of camp life. 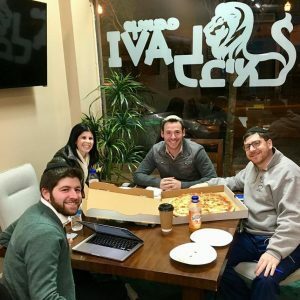 In addition to returning staff such as Alan Berger, who is in charge of programming operations, Lauren Greene, who teaches dance/Zumba, and Barbra Elefant-Solomon, who runs drama, Nayowitz and Schwartz brought in Rabbi Yair Menchel of the Yavneh Academy in Paramus to put a new spin on programming. Lavi mainstay Mike Dube is joined by an expanded sports staff, including camp sports veteran David Beitler of North Shore Hebrew Academy and former basketball pro Donald Hennie, who runs athletics at TABC in Teaneck. Whereas Dube will run sports, Beitler will be able to concentrate on sports programming and intramurals with other camps. Hennie will run clinics and instructional sessions for kids who wish to learn or get better. According to their website, Camp Lavi is a summer camp “where intramurals meets ruach and art meets achdut.” The camp operates on a dual-session schedule, and is open to children going into third through tenth grade. With emphasis on a family-like atmosphere, the camp prides itself on instilling in its campers a sense of belonging, self-confidence, and respect. As for the upgraded sports program, Nayowitz says her goal was to expand on the two sports the camp traditionally played and bring in some new sports and activities like football, Frisbee, dodgeball, and fishing. As she explains, the goal she had in mind was to make the camp more accessible and diverse in what it has to offer. “In the past, most of Camp Lavi’s sports program was centered around basketball and hockey,” Nayowitz shared. “We’re trying to incorporate new games and activities in addition to those two staples, and also bring on staff that will teach the game rather than just having the kids play it. The dune buggies, ropes course, water slides at the pool, and classic lifestyle activities will be returning. The clinics and instructional sessions will add a new layer to our offerings. Former pro Donald Hennie is onboard to add an exciting figure on campus who will also help with the clinics. We’re really excited about having him with us this summer.” Nayowitz also mentioned the construction of a dirt course for the start of a mountain biking program. Safety and security is on Camp Lavi’s mind, and Michael Pelikow has been working on the important task. “We are working diligently along with state, local, and even federal agencies to ensure we have the most updated and effective protocols and emergency-response procedures.” Lavi is committing substantial resources to keeping their campers and staff safe. When it comes to the new construction, the boys’ campus is said to have received an overhaul, including updated bathrooms and showers; other structures around the camp are being repaired, updated, or replaced. Additionally, a covering structure has been placed over some of the courts, allowing kids to use them even in poor weather. If you are interested in registering a child for Camp Lavi, Lavi’s four-day trial for 6–8 year olds, “Life at Lavi,” the Yachad program at Lavi, or would like to learn more about the options, visit CampLavi.com. Additionally, if you have any questions or concerns, email info@camplavi.com or call 201-684-9084.